Now that we’re back from the weekend, we can talk about where we went. Josh and I made quick trip to Pittsburgh for a surprise birthday party for his aunt. 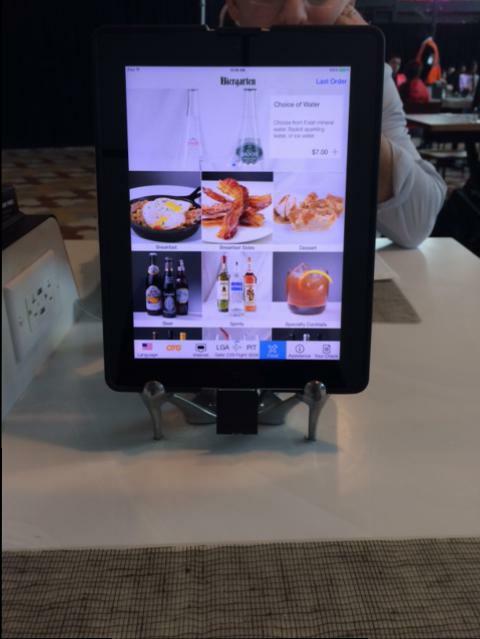 As seen on our way to Pittsburgh, it looks like LGA is getting the upgrade. The last time we flew out of there was to Chicago and the terminal looked like it was falling apart. Terminal C for Delta is quite the scene. You can order food from an iPad on your table and even put in what flight you’re on so they can plan accordingly. We didn’t end up doing this since they took away breakfast while we were browsing and we didn’t prefer the lunch options. It did look like the breakfast was pretty good and if you were ready to spend $20 per person, then this would be a decent choice. 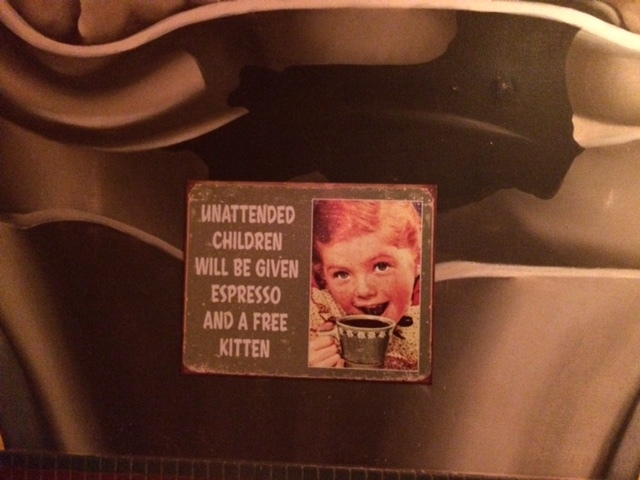 Now, in Pittsburgh, well technically Monroeville to be exact, I saw this sign at the ice cream sundae station at Max & Erma’s. 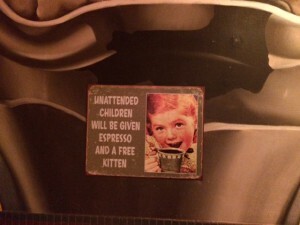 “Unattended children will be given espresso and a free kitten.” Now had the sign said puppy, I would have found a way to claim unattended children. 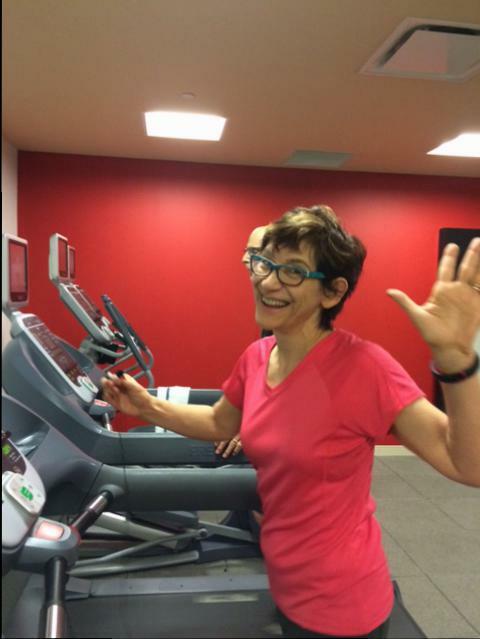 I ran on the treadmill with Josh’s parents two straight days! It was because of them that I ran 5 more miles than I wanted to on Saturday. I felt pretty bad for the first 60 minutes of my long run (was supposed to be 12 miles) and was ready to stop but when they came in, I was motivated enough to run another 5 to finish up with 11 miles. They’re not my best 11 miles, but I’m glad I got them in. After an afternoon of errands that avoided the birthday girl, we were ready for the party. It’s surprising but I do own non-running clothes and I don’t always wear my hair in a ponytail. The next morning, I was feeling so inspired by all the United NYC Half Marathon runners that I ran a fartlek on the treadmill while obsessively refreshing the race app (I had some very VIP runners that I needed to track!). I don’t typically do a speed workout the day after a long run but since my legs felt pretty fresh after the bad long run, I was looking for something speedier to focus on form and heart rate. 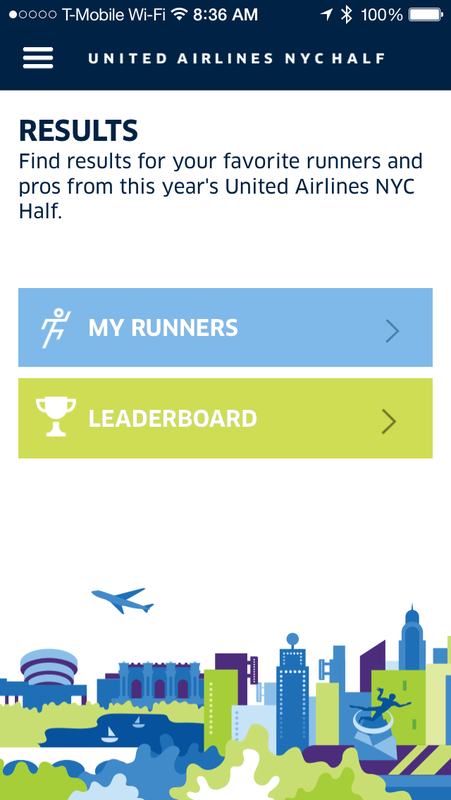 On the race front, it was a great day in NYC, all of my VIP friends ran great races and some with amazing PRs. Even though I wasn’t live cheering, I was anxious and excited for everyone. And then there were high winds in NYC which caused cancellations and delays into the NYC-area airports (luckily that didn’t seem to affect too many of the half runners). Fortunately for us, our flight was just delayed and we made it home in time for our FreshDirect delivery. However, when delayed at the Pittsburgh airport, it is important to treat yourself. And in our case, we had some Pinkberry. 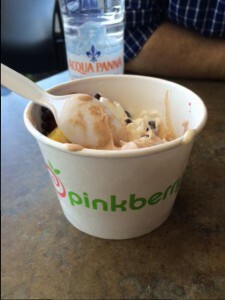 When we’re at home, we’re loyal to 16 Handles due to their location but I think I am a bigger Pinkberry fan. I have absolutely no self-control so it works out better for me when someone else has to scoop me my toppings. And that about sums up our weekend. How was your weekend? Did you do any running? 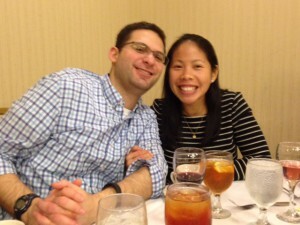 This entry was posted in family, marathon training, running friends, travel. Bookmark the permalink.